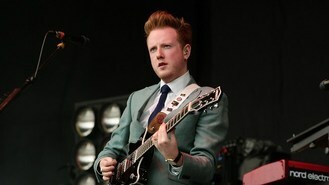 The first headliners for next year's Latitude arts and music festival have been announced, with Irish indie rockers Two Door Cinema Club making their first festival headline appearance at the event. The announcement comes ahead of the biggest gig of their careers so far at London's O2 Arena on December 13. The Suffolk festival, now in its ninth year, will also feature Billy Bragg and his band's blend of political analysis along with folk and punk, and American multi-instrumentalist Booker T Jones. Other performers include Phosphorescent , a rising star of alt-country; Anna Calvi, who was nominated for Best Breakthrough Act at last year's Brit Awards; American folk-pop nomad Cass McCombs; and e xperimental Swedish funk, afrobeat fusion band Goat. Further acts will be added to the line-up as the July 17 to July 20 event at Henham Park, Suffolk, approaches. The 2013 event won the Line-Up of the Year award at the UK Festival Awards earlier this week. A spokesman said: "Latitude presents a festival experience like no other, carefully curated so that culture lovers can experience performances by leading artists from the worlds of theatre, dance, literature, film, comedy, cabaret, poetry, fashion, art as well as music all over one weekend."